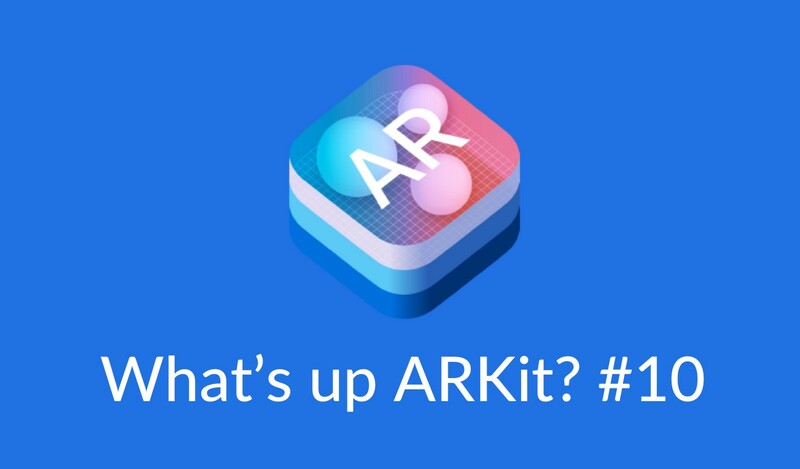 Nathan Gitter @nathangitter released a lot of ARKit 2.0 concepts videos and made an analysis about it. Laan Labs (@laanlabs) showed a very nice video of an app they are working on that does 3D scanning, if you want to join the beta: 3DScannerApp.com. Bruno Muniz (@brunomuniz_af) wrote a nice tutorial about using Core ML and ARKit features to do a little app, can give you interesting ideas! Timvan Scherpenzeel has an interesting project up on GitHub that converts a glTF file to USDZ, if you want to understand more about USDZ, you should check it out. Thanks to Marcin Ignac (@marcinignac) for sharing some pics about it. For those who use Xamarin, here is a nice quick introduction to ARKit 2.0 with Xamarin. Virakri (@virakri) shared his work on an ARKit framework available on GitHub that features : Placing Multiple Virtual Objects (including on vertical planes), Quick Drop, Preview in AR with No Effort, Interaction with Fluidity, Interaction with Snapy Zoom, All-in-one Virtual Objects Manipulating Interaction, Customizable AR Focus Point. Aidan Wolf (@Aidan_Wolf) released a very simple fun app available on iOS. Everyone can draw in the sky and see other people drawings as well.